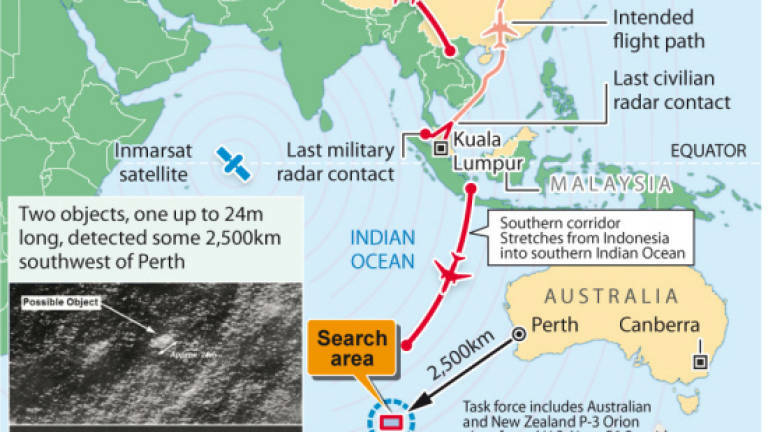 25 Mar 2014 / 09:37 H.
KUALA LUMPUR: It has been confirmed that flight MH370 ended in the southern Indian Ocean with no survivors. Prime Minister Datuk Seri Najib Abdul Razak, in a televised announcement tonight, said Malaysia Airlines has informed the families of the 227 passengers and 12 crew of the fact that the search is over. MAS, in a text message to families of victims, said that none of those onboard had survived. “Malaysia Airlines deeply regrets that we have to assume beyond reasonable doubt that MH370 has been lost and that none of those on board survived,” it said. 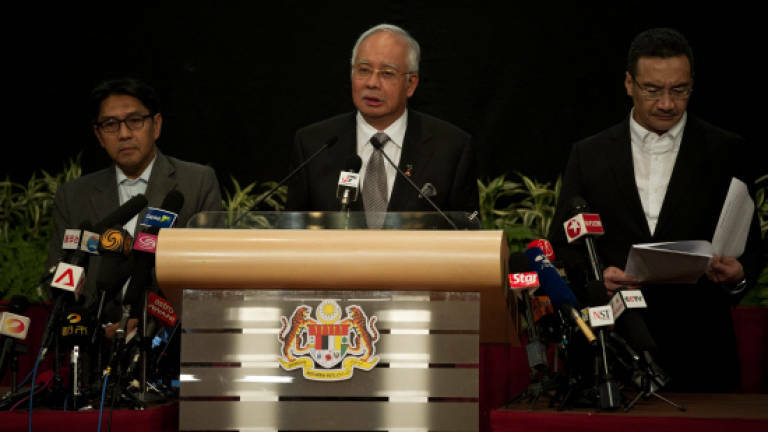 Najib said the past few weeks had been heartbreaking for families of those onboard the flight. “I know this news must be harder still. I urge the media to respect their privacy, and to allow them the space they need at this difficult time,” he told a press conference at Putra World Trade Centre, here, at 10pm. Najib said he was briefed this evening by representatives from the UK Air Accidents Investigation Branch (AAIB) on the development. “They informed me that Inmarsat, the UK company that provided the satellite data which indicated the northern and southern corridors (as possible flight path of MH370), has been performing further calculations on the data. Using a type of analysis never before used in an investigation of this sort, they have been able to shed more light on MH370’s flight path. He said a press conference will be held tomorrow with further details to be provided.